Under the creation of the new Department of Biodiversity, Earth and Environmental Science and Drexel’s recent partnership with the Academy of Natural Sciences of Drexel University, undergraduate students interested in environmental science are now being offered a new and exciting experience. A new course, Environmental Science 102: Natural History Collections and Research, allows students in the department to balance traditional classroom learning with hands-on experience within the Academy of Natural Sciences. Twelve students are enrolled in the two-credit course and meet for four hours at the Academy every Friday afternoon. In each meeting, students are given a tour and demonstration of a specific collection of biological specimens by the collection manager. The students are then given a break to explore the exhibits independently and are taken to the library for a lecture corresponding with the collection. 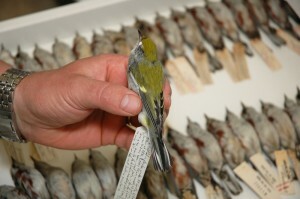 Collections include ichthyology, paleontology, malacology, herpetology, botany and ornithology, among others. Rafaela Marano, a freshman environmental science major, explained that not only does the class offer valuable exposure that will ultimately allow her to narrow her focus within the field, but it also provides her the opportunity to connect with scientists she wouldn’t have otherwise met. “We’re able to meet the lead scientists in each department and learn about their day-to-day life. Even in Environmental Science 101, I was meeting scientists from all over the place, and in this class we’re just being exposed to more and more,” Marano said. Students learn the significance of each collection, as DNA or other chemical information can still be extracted from specimens. This information can teach scientists about the specimen’s original habitat, such as the condition of the atmosphere when it was collected or its position in the food chain. As an introductory course, students are learning the basics of each collection. “There’s a lot of detail, but we aren’t making the students memorize a huge amount,” Lundberg said. The exposure to multiple collections and the general science and care behind each allows students to narrow their interest within the field of environmental science. Marano volunteers in a lab of the BEES department. She has also participated in a course designed for incoming freshmen prior to the start of fall term and Environmental Science 101, both of which incorporated labs performed in the field. She applauded the department for offering opportunities for hands-on learning. “Just being out there experiencing it, I’ve learned so much more than I ever could by just reading a textbook,” Marano said. Kevin Smith, a doctoral candidate in the BEES department and teaching assistant for the course, described the course as an “exciting way to get a lot of a resource like the Academy.” Smith explained the mutual enthusiasm from Academy staff and compared it to that of a proud parent. “They’ve been great because they have all of this wonderful stuff, and they want to show their collections to people,” Smith said. Upon the start of the collaboration with the Academy and creation of the new department, Smith explained that the amount of faculty has exploded. Academy and Drexel staff are working together in a partnership to design higher-level courses that will maximize the utility of the Academy’s resources. The Academy, the Western Hemisphere’s oldest science institution, is now celebrating its 150th year. It houses plants collected from the expedition of Lewis and Clark, marine specimens caught by the nephew of Napoleon Bonaparte, and a number of discoveries made by railway engineer Stephen Long. These are among 18 million other specimens that are now accessible to students of Drexel University’s BEES department.